After having a bad experience at another dentist I was a nervous patient. Paula and her team are SO lovely, and very gentle. They have lots of fancy modern equipment and the practice is clean and well maintained. I will never go anywhere else! They are the best! Very pleased. Emergency appointment on a Saturday morning and seen straight away. Left feeling relieved and will definitely be back there very soon. Thank you for your gentle, no judgement care. Great service, the staff were kind, friendly and helpful. I love my Botox. I went for 3 areas. Dr Dalton approached the eyebrow lift completely differently to the places I have been before and it worked 100x better. Will be back & highly recommend. Having a phobia of dentist,thinking they were horrible people. DR Dalton and Karis ,where the kindest people I have met.Making me feel relaxed and was impressed by the level of service.You got Harley Street service ,once you walked through the door the ambience was relaxing and the staff are so professional,kind and caring.I will go back again.Cannot recommend them highly enough.Thank you . Thank you for your kind words, it is always a pleasure to see you. Looking forward to seeing you on Whitening Wednesday! Just wanted to thank Lucy and Krasi for the excellent treatment I received in replacing 2 fillings. The best part was they used a dental laser to remove the old fillings so there was no drilling, no need for pain relief and I was able to leave without that numb feeling in my mouth. Brilliant!!! Thank you. Hi John, it is really lovely to get your feedback. Glad we were able to offer you a much needed alternative, hope this will enable you to come back and feel at ease in our care. Great service, seen for an emergency appointment in minutes – on a Saturday morning! Hi Umang, we are here 7 days a week… Well your teeth don’t stop working at the weekend! Hi Jacinta, Glad you have enjoyed our service. Always a pleasure to see you. I can’t thank Lucy and Adrianna enough for their care and treatment. I had been in pain for many weeks, not realising I had an abcess, even though I had been to see my dentist on a cancellation as I couldn’t get an emergency appointment ! She didn’t even give me an X-ray ! 4 weeks later I came across We Love Teeth. Thank goodness I did. I can thoroughly recommend them. The whole team are fantastic. I will certainly be a regular from now on. Many thanks to you all. Hi Sandra, Many thanks for your kind review. Here at We Love Teeth our priority is patient care and we are glad to have resolved your ongoing issue. We are now open 7 days a week to accommodate all our patient’s needs. Hope you are well and we look forward to seeing you at your next visit. Came to to see the hygienist, the girls were lovely! Sad to have missed RnB friday and will make sure i book on a friday next time! I would highly recommend We Love Teeth to anyone. I cannot speak highly enough of the staff here. They are all so friendly and welcoming. They provide a highly professional service in a very relaxed environment. Hi Emma, thank you for recommending We Love Teeth. It is always a pleasure to see our hard efforts appreciated. I’m so glad you felt relaxed. See you again in a few weeks! Nadia. Many thanks Hayley. Although your treatment is nearly completed we hope to see you back for checkup’s or hygiene soon. Paula. I love everyone at WeLoveTeeth! Thanks Sam. Everyone loved your review! Paula. 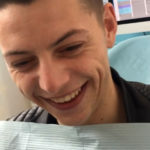 I have always been terrified of the dentist but We Love Teeth changed the way I feel about going. They are so gentle and took things nice a slowly until I was confident. I now go back regularly for checkups and hygiene appointments. I recommend Airflow because it cleans my teeth really well without any scraping. Thanks for your feedback. We hope you’ll come back regularly. It’s the best way of putting any past fears of the dentist behind you! I had such a great experience at the practice. All the staff are lovely and welcoming. I would highly recommend the practice. Thanks Ruari. We are really glad you had a positive experience. Please recommend us to your friends and family. Paula. All the team at We Love Teeth are just brilliant. Thank you so much Lara. Your feedback is really appreciated and we would love you to recommend us to your family and friends. The whole team at WeLoveTeeth. Excellent. … Loving the airflow crystal white. I visit the hygienist every three months and they do a great job with with teeth. Staff are really nice and dentist is always clean. I was never pleased with dentist till I moved to Weybridge and registered with we love teeth! All treatment I have had I’m very pleased with. Great job! Thanks for such positive review Colette. We look forward to seeing you again soon! I was in the best hands! A calm and welcoming, beautifully-designed practice. My dental treatment was delivered in a friendly, professional manner. I felt I was in the best hands! You have saved me from a weekend of pain!